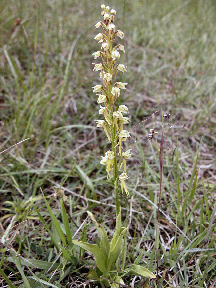 Ten years ago these orchids were hard to find but are now quite numerous. 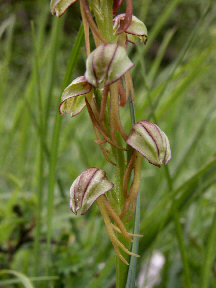 Here they are mixed with fly orchids. 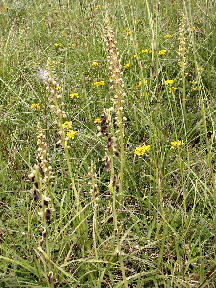 These orchids grow on dry hillsides, usually with a southern exposure. 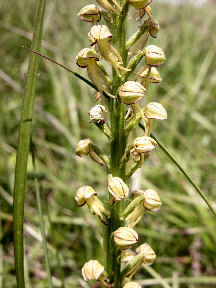 This plant shows the usual pale yellowish colouring. These flowers have a noticeable reddish tinge, which is also quite common.